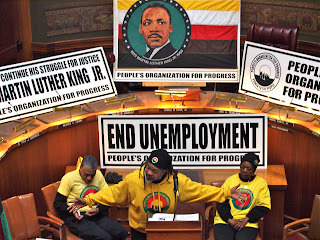 Fire on the Mountain: UPDATE: POP Honors Dr. King's Birthday: March for Peace, Jobs & Justice! UPDATE: POP Honors Dr. King's Birthday: March for Peace, Jobs & Justice! 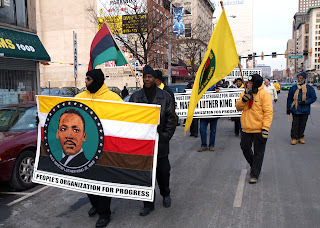 More than 200 community, labor, peace, social justice, immigration, education, and other activists braved the freezing weather on Saturday, January 15 to commemorate the birth of Dr. Martin Luther King, Jr. 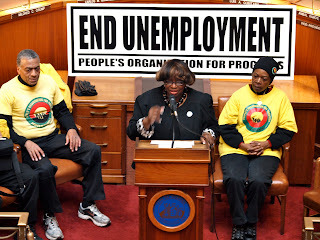 Thanks to the support of Newark City Councilwoman Mildred C. Crump (who NJ State People's Organization for Progress Chairman Lawrence Hamm introduced as a dues paying POP member since the organization's inception 27 years ago), the march culminated in an indoor rally at City Hall in the Council Chambers. Organized by the People's Organization for Progress, the march was also endorsed by unions and workers organizations, Veterans for Peace Chapter-21, immigrant's rights activists, as well as many community residents. 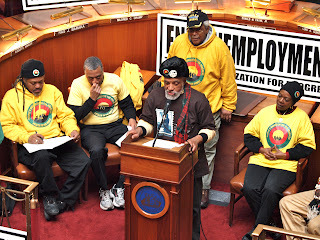 Sponsoring organizations also included the New Black Panther Party, NJ Peace Action, International Longshoremen's Association Local 1233 and many, many others. Chants of "Bring the Troops Home, Now! ", "Martin Luther King, Live Like Him…", "What do we want? Justice! When do we want it? NOW!!! ", "Money for Schools!" 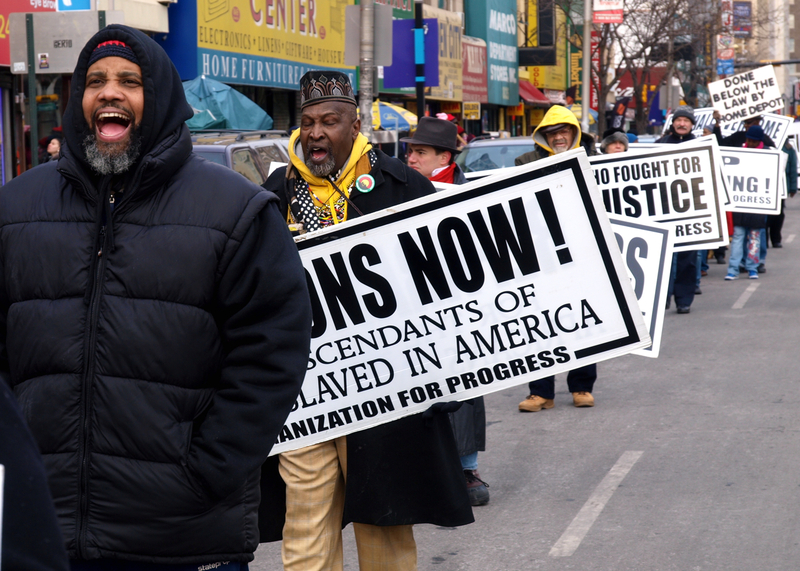 rang out along Broad Street as the marchers urged Saturday shoppers to join their ranks. Many did. As the marchers approached Newark City Hall, the popular slogan, "Martin Luther King, Live Like Him -- Dare to Struggle, Dare to Win!" saw the names of many other revolutionary heroes swapped in for that of Dr. King. "Fannie Lou Hamer, Live like Her…", as well as Harriet Tubman, Malcolm X, John Brown, Rosa Parks, E. D. Nixon, and many, many others, famous as well as nearly forgotten. 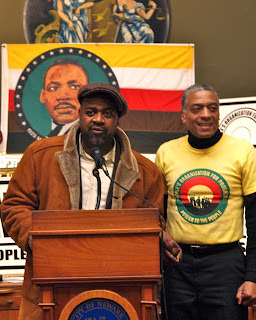 This anticipated a repeated theme among speakers at the rally, many of whom spoke about Dr. King's lessons having been removed in favor of a commercial shopping holiday of "Post-Christmas Sales." 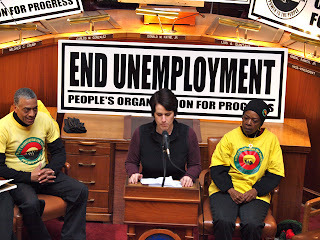 Deborah Jacobs spoke about the POP campaigns that the NJ ACLU has helped with, like eliminating onerous insurance requirements for street rallies (a $1 MILLION policy before POP member Mary Weaver could hold a memorial in front of East Orange City Hall, is one example), as well as the ACLU campaign challenging the Newark police and other Essex County law enforcement organizations' murderous "Community Outreach Policing" policies (see the video of her presentation HERE). The struggle for decent wages and dignity by Memphis sanitation workers in 1968 is all but forgotten in the Martin Luther King -- Dreamer sanitized version of the legacy of Dr. King. 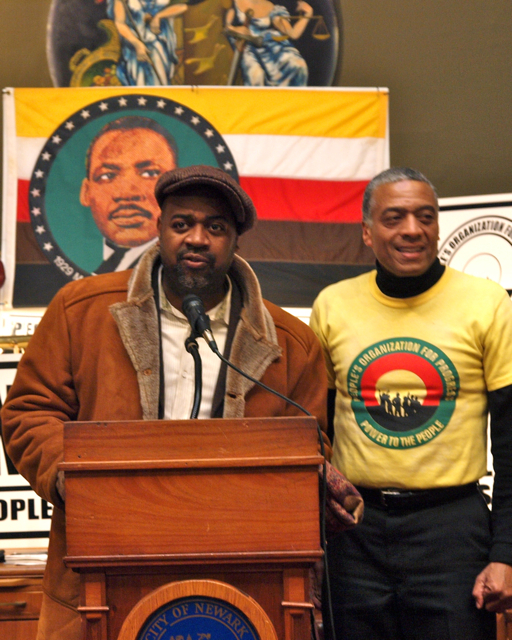 Larry Adams, longtime president of the postal workers' Mailhandlers Local 300, spoke eloquently about Marin Luther King, Jr.'s revolutionary relationship with working and all oppressed peoples. 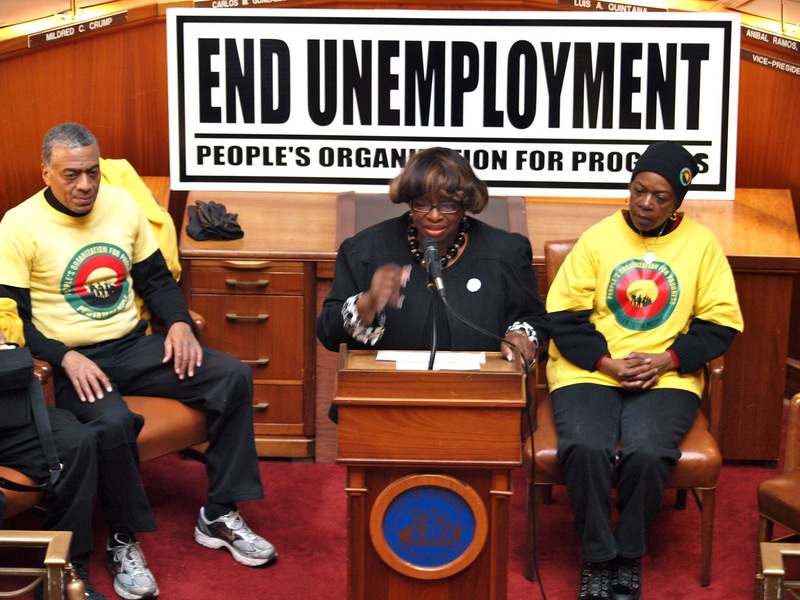 out-of-work low income people to DC for non-violent civil disobedience!" With these words, Larry Adams introduced the period of Dr. King's life that culminated in Memphis, Tennessee. 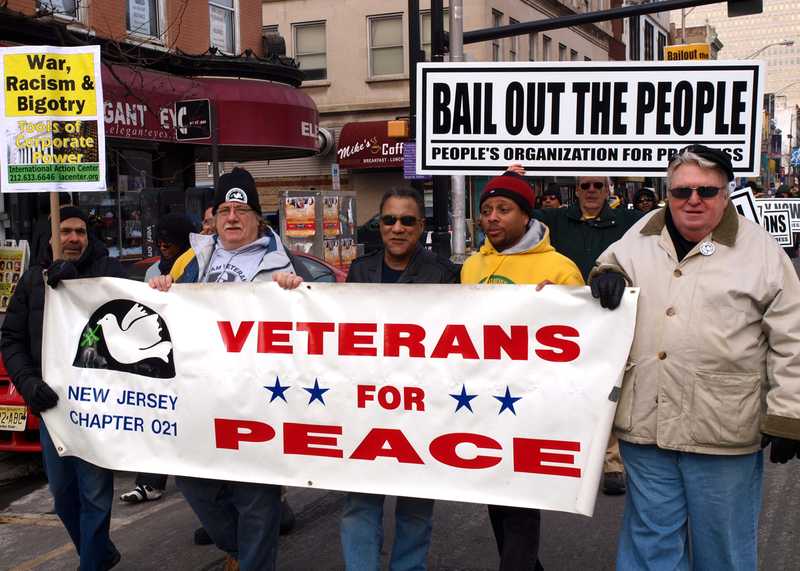 Three veterans of the 1963 March on Washington spoke at Saturday's rally. Nat William, Clif Arrington and Aminifu Williams all shared their impression of the early Dr. King, as well as the Civil Right movement of that era. 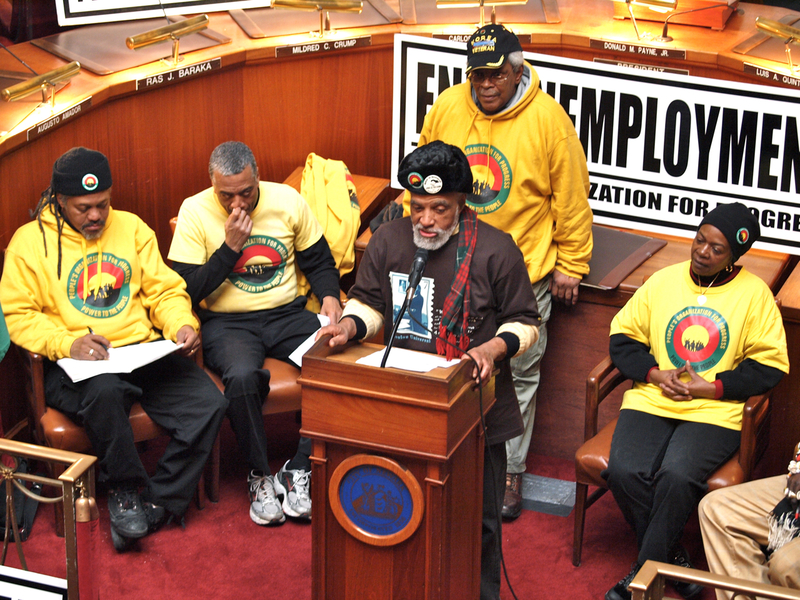 James Carey, Chair of POP's Union County Branch introduced Lutin Pierre. 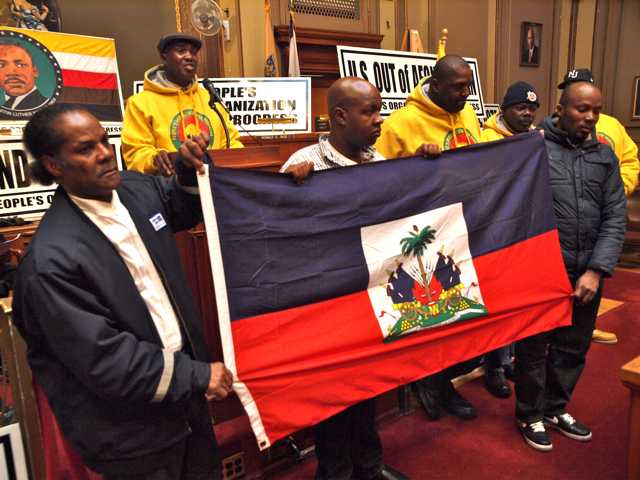 Mr. Pierre is the owner of an employment service that Home Depot has refused to work with since discovering that it is Haitian-owned. To see additions photos, click here. 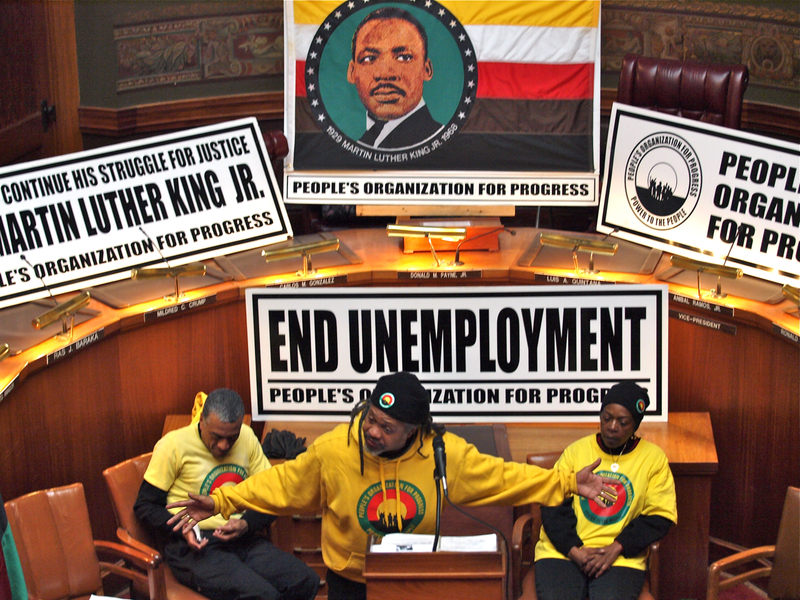 While Rah's report, "POP Honors Dr. King's Birthday: March for Peace, Jobs & Justice!" was an excellent reflection of this important march and rally, my friend and brother left out a truly exciting presentation that day. 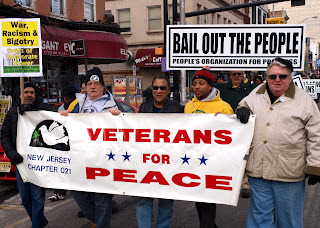 I'm referring to the brief speech by Michael McPhearson, POP member, veteran of Gulf War 1 and former executive director of Veterans for Peace. popularly accepted mythology of dr. King's beliefs rips the heart out of the lessons of his life, while challenging other "accepted wisdom' about the US war against Iraq. Michael maintains his own blog, The McPhearson Report. 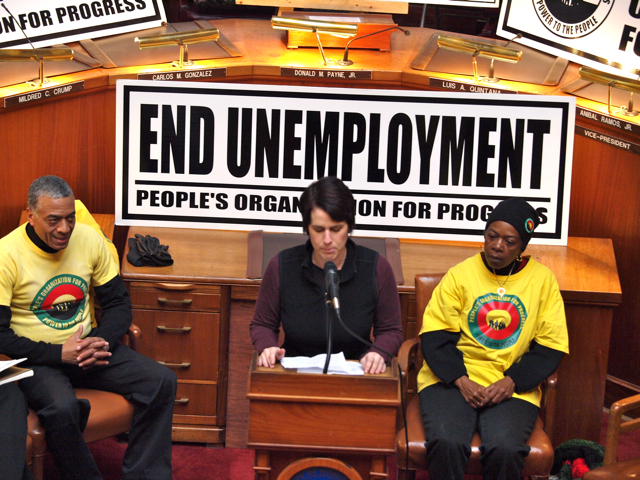 An audio recording of the speech is available HERE.